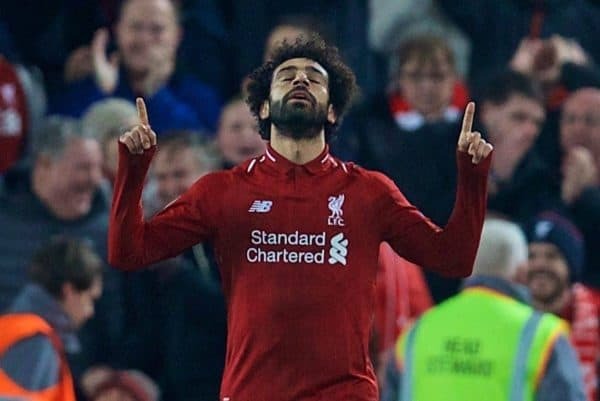 The media lauded Mohamed Salah and Alisson’s heroics and felt the best traits of the old and new Liverpool combined perfectly in the 1-0 win over Napoli. 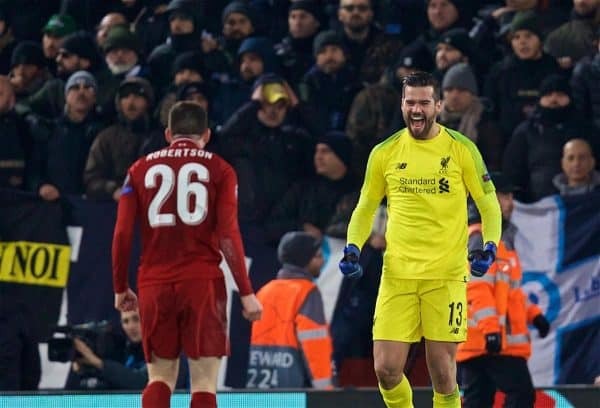 It was unbearably nervy at times, but the Reds fought to the precious 1-0 win needed to book a place in the Champions League knockout stage at the Serie A side’s expense. A moment of magic from Mohamed Salah was the difference but the priceless three points also came thanks to Alisson, who saved the game with an unbelievable point-blank stop in injury time. 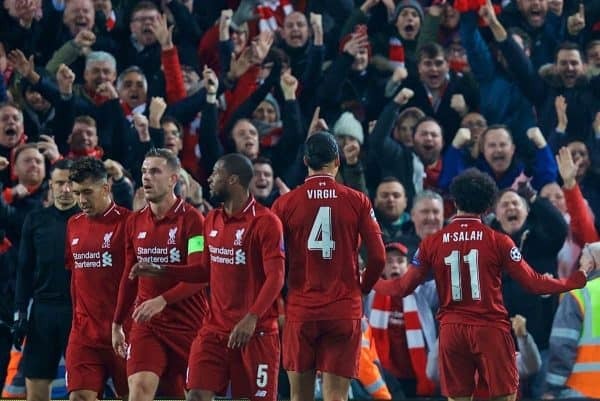 It was a monstrous effort from Klopp’s side and though the group stage has been far from plain sailing, Liverpool deserve full credit for getting through such a difficult group and into the last-16. 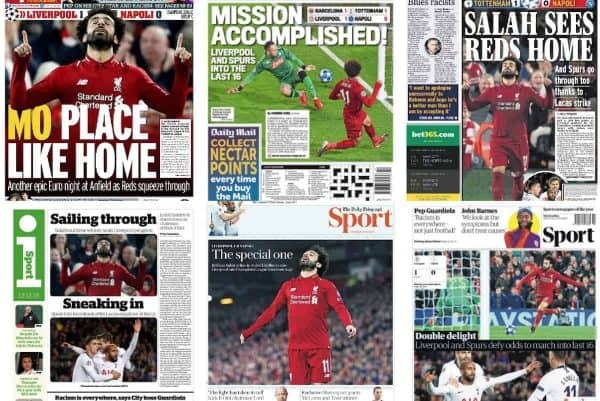 Here’s how the media assessed another big European night at Anfield. As has been the case during their domestic campaign, where they sit pretty as the Premier League‘s leaders, the Reds displayed intelligence, patience and control to thwart Carlo Ancelotti’s side and progress in the competition. Liverpool keep on handling the pressure and delivering when required to. Klopp had challenged his players to right the wrongs after enduring three successive away European defeats and to a man they delivered. Liverpool played with maturity and control from start to finish. 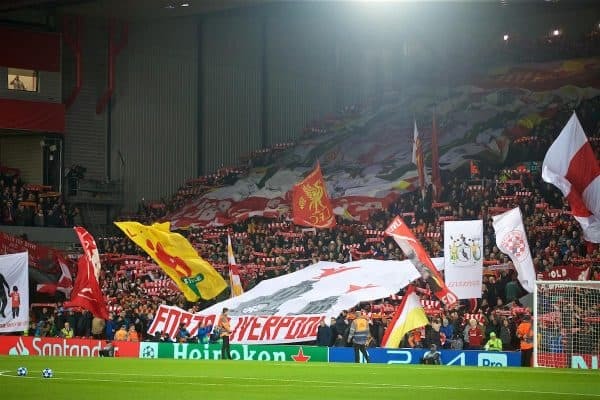 There was a 20 minute spell at the start of the second half that saw Klopp’s team press and hurry Napoli with such ferocity that memories of last season’s destruction of Manchester City and Roma at Anfield came flooding back. There were signs of the old Liverpool in the way the home side pressed and harried after the break, but signs of the new Reds in the manner in which they held out. A fee of that nature can never be called a bargain but there is no doubt whatsoever that investment Liverpool made in Van Dijk has been handsomely rewarded. They are a different team from the one that blitzed into the Champions League knockout stages 12 months ago and he is a prime reason. Klopp’s blueprint for the match was so blatant he could have informed Carlo Ancelotti prior to the start of the fixture. Never was there a time that a Liverpool midfielder found space without raising their head demonically in one direction, scouring for the Egyptian. The play became so lopsided that Sadio Mane was essentially dragged into the role of striker, Firmino watching and waiting for Salah’s cut-back. Liverpool sit top of the Premier League thanks to his huge contributions in the recent wins over Everton and Burnley. Now he has helped write another memorable chapter in the Reds’ rich European history. Talk about taking the fast-track to Kop icon status. Liverpool haven’t had a keeper of this calibre since Bruce Grobbelaar was in his prime. The Brazilian is a world-class goalkeeper and that one save alone underlined his importance and will draw harsh comparisons with the man he replaced, Loris Karius. The German simply does not have the same aura. It was a contribution just as vital as Mohamed Salah’s goal, one that strengthened Alisson’s growing claim to be the best in his position in the world. Liverpool demonstrated – as they have done in the league – their strength in building on steel and trusting their spine, to which Virgil van Dijk and Alisson were – and this is no hyperbole – bargain additions despite their price tags. It adds further warmth to the feel-good factor and sense that this is a formidable, emerging team that no one will want to face. Especially Salah if he plays like this. 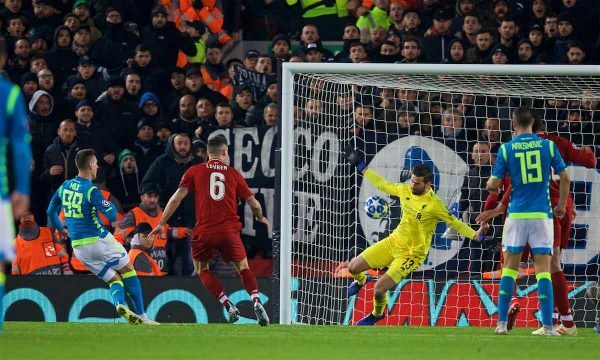 Having endured a mixed run of form of late, Roberto Firmino looked firmly back to his best as Liverpool took on Napoli. And that might have something do with his return to a ‘false nine’ role after spending plenty of time in recent games playing a No.10 in a 4-2-3-1. 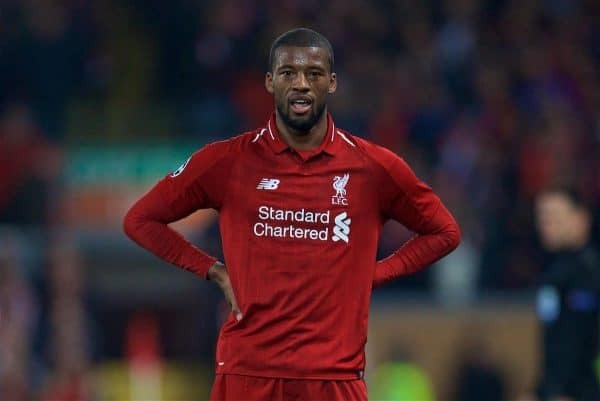 He should not be the one to pay for a failure to add another No.10 over the summer – if nothing else, Liverpool can’t afford to lose him up front.